Who knew Mrs. Doubtfire was a book, and by Anne Fine no less? When I saw this at the library I work at, I was floored. 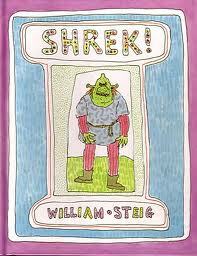 The book is pretty different from the movie, I have to say, but I still love William Steig. 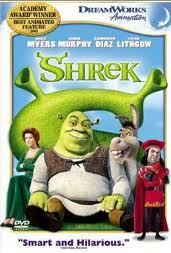 I'm pretty sure the only similarity is that it's about an ogre named Shrek who goes to look for a wife. Though the ending isn't as happily-ever-after as DreamWorks decided it should be. Still, I like both. 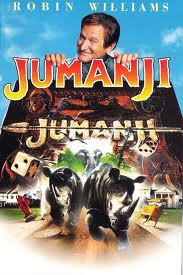 Who remembers this movie? Ah, the good old days. I kind of feel like I have to read this book now. Look at the delightful cover! 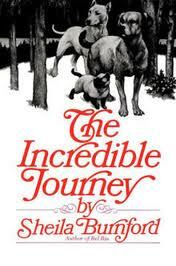 This one is probably much better known as a Newbery-award winning book, but some people still might not know. Again, the book is pretty different (alas, no Robin Williams character, who I just realized is making a few appearances on this post's list), but both are very enjoyable. I guess they figured no kid would want to see a movie about a guy who wanted to see what would happen if he tried to lead some Canada geese south, so they threw in Anna Paquin and made the geese orphans. Check out Lishman's Wikipedia article here, which kind of explains what he was trying to do. Okay, okay, I know most everyone knows this is a book, but I figured I'd throw it on there for the hell of it. This movie has a pretty great soundtrack, by the way. Oh hey, one cool thing I just noticed in writing this post is the family that owns the pets are called the Burnfords, which is the name of the author. Also, look—it was a Disney movie in 1963 too. There you have it, folks. Any that I missed? I love having my mind blown by stuff like this, so don't hold back. Blown away by Mrs. Doubtfire!!!!! No way! Mrs. Doubtfire was a book?! That is amazing! 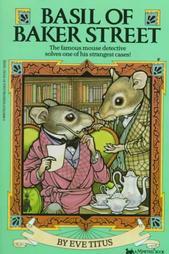 Also didn't know The Great Mouse Detective was a book; I thought it was just Disney playing off of Sherlock Holmes! Thanks for sharing these! What a fantastic post. 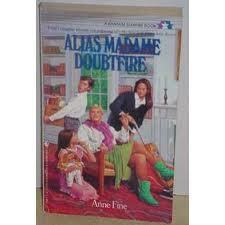 I had no idea Mrs. Doubtfire was based on a book. I really like that movie. I also didn't know about The Great Mouse Detective, but now I want to read the book. That movie is awesome! The Never Ending Story was my Favourite movie as a child, when I discovered it was a book I read it, and that was when I realised that movies based on books are rarely the same as the book!Have to admit to prefering books over movies of them... thanks for you list, was interesting to read! Ah yes, The Neverending Story by Michael Ende! I did forget that one. I've never read it, but I do remember hearing it was translated, I forget from which language though. Glad to hear they are good! 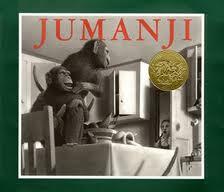 I knew about Jumanji, The Great Mouse Detective, and The Incredible Journey (the original movie - not the one with the talking animals! - is an old favorite at our house), but the others were news to me. What? 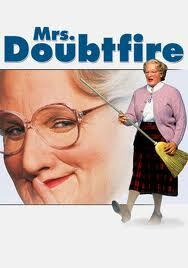 I had no idea about Mrs. Doubtfire! I've always wanted to read 1 & 2. Anne Fine is a wonderful British author. 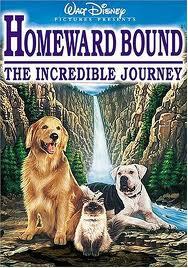 The only one I didn't know about was Fly Away Home. The book sounds more interesting than the movie to me. Fantastic post!! I've seen a few of these titles but others were a complete surprise. Thanks for sharing. "Night At The Museum" (http://www.amazon.co.uk/Night-at-Museum-Milan-Trenc/dp/0764136313) one of my favourite books-turned-into-movies. Loved Shrek (the book), didn't know about Mrs Doubtfire! And, of course, The Princess Bride. But I'm not sure people will ever forget that book.